The roof of a building acts similar to that of the screen of a greenhouse. It doesn’t allow heat to leave the building! This enables heat to accumulate within your home. This heat can cause temperature issues due to the excess hot air building up. The use of solar roof vents can prevent this problem from occurring. The sun does a number on your roof. It can heat it to stiflingly hot temperatures. This heat isn’t confined to the surface of your roof, however. It gradually dissipates down into the interior of your home. This can be extremely uncomfortable! A normal air conditioning system functions to restore a normal temperature to your home when the heat becomes unbearable. In extreme conditions, however, this can cause your homestead’s utility bills to fly through the roof! We need solar roof vents. They do a couple of critical things for your home, both in the summer and the winter. In the summer, they’ll circulate air through your house, and keep your attic cool. During the winter, they’ll dispel unwanted wet air that can accumulate in an attic, potentially saving money from moisture damage. In the country of South Africa, a common product used for roof ventilation is known as a whirlybird. A whirlybird has been a long time leader in roof ventilation. It’s one of the first forms of ventilation to arrive on the market! Let’s shed some light on how this efficient form of ventilation does its job. Whirlybirds are called by many names but fall into a broad category of roof ventilation. Within this category, the ventilating devices remove heat by the means of convection. Two main forms of whirlybirds exist today. These types are active or powered whirlybirds and passive or wind-driven whirlybirds. There are a few things that separate each type of whirlybird from one another. Between the aforementioned two, electricity is the decisive separating factor. Passive whirlybirds rely solely on the wind, and because of their inexpensiveness, are more popular than solar roof vents. The common material makeup of a whirlybird roof vent is typically aluminum, plastic, or galvanized steel. The top or head of the whirlybird has slits for air escape. It’s set on top of a bearing which allows it to rotate with the wind, ultimately driving convection. What’s behind the ventilation of a whirlybird? A whirlybird is largely dependent on the house as well as its positioning atop a roof. They’re usually designed specifically to accommodate both climate and wind patterns. The bird blows with the wind; a gust will pass through the turbine, turning the vent. The turning motion results in a sucking effect which draws heated air from the inside of a house. Simply put, it’s almost as if a straw is drawing a stream of hot air through the roof. Then blowing the air it soaks up into the atmosphere. In addition to simply removing air. Many types of whirlybirds also help the overall circulation of cool air throughout a home. The design of the whirlybird enables it to be durable, as well as efficient. It’s built to last! It shields your roof and its vent from rain because of its design. It’ll wick water the other way, due to its rotational force. Don’t worry about water leaking into the interior of your roof or attic. What’s the overall efficiency of a whirlybird? The determining measurement of whirlybird efficiency is its air flow capacity. This isn’t simply ascertained, however; it can vary based on a number of different factors. A whirlybird’s make, model, and wind absorption all impact its air flow capacity. 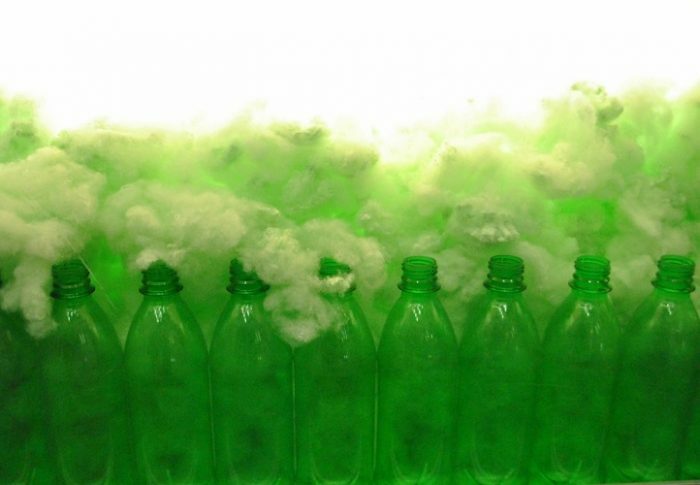 A classic example with a 12 kph gust of wind shows an air flow capacity of around 8-150 cubic meters of air every hour. On the opposite end of the efficiency spectrum lies industrial grade whirlybirds. Which are much more powerful, due to a typical increase in surface area and size. What’s the price of a whirlybird wind driven turbine? It’s not too expensive, that’s for sure! You won’t break the bank by installing this efficient form of roofing ventilation. It’s usually no more than R800 – R1000 for a cheap residential ventilation system. This proves how much money can be saved with the purchase of a whirlybird. Forget the costly installation of an electric system. Cheap cost, however, can reduce the efficacy. One thing that can prove to be quite annoying about a whirlybird is the noise it emits. This can be countered with a solar powered roof vent. On top of being less noisy, a solar powered roof vent is often more efficient than a standard, wind-powered whirlybird. They carry a much larger air flow capacity, making it a more effective ventilation experience. Are they likely to malfunction? Rain is no barrier to a whirlybird’s functioning. Other things, such as leaves, branches, pine straw, and animal droppings can all deter its ability to operate correctly. This mainly occurs via interference with the spinning of the turbine. This usually needs a form of maintenance for complete removal. This can be dangerous and may require professional assistance if your house is designed with a roof of acute angling. If you act quickly, you might be able to pull out the object. If you put it off, however, you may have to replace the entire whirlybird. The solar roof vents is a viable option if you’re looking for efficiency and cut costs. 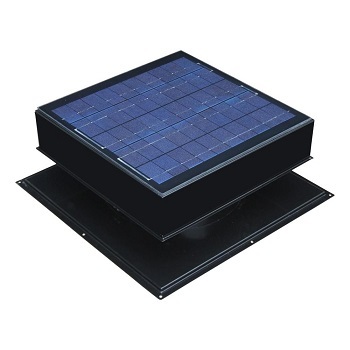 One of the prime advantages of installing the solar roof vents is that there is no limit to where it can be installed. As long as the sun faces down on it you’ll be all set! This can be highly beneficial to homes with oblong or peculiarly-designed roofs. Sunlight breathes life into many parts of our planet. One of those parts is a solar powered whirlybird. This means that where the sun shines, installation is possible! They’ll experience optional functioning when temperatures are at their peak. Solar roof vents are considerably quieter than a non-solar ventilator. This holds huge advantages if you live in an area where homes are close together. Solar whirlybirds often can be extremely quiet, as quality increases. Apart from the cost, there are no clear disadvantages. Their design even allows them to be immune to foreign objects entering their turbines. If we’re being frank, however, we’ll want a turbine that offers both efficiency and affordability. Truth be told, solar roof vents often can cost as much as 5x more than a conventional wind turbine. This is a compromise that may be worthwhile, however. They’ve been proven to be vastly more efficient than their passive counterparts. This cost effectiveness can outweigh the price of the installation, in the long run. 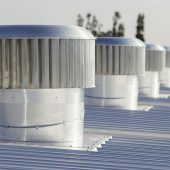 What roof ventilator does the best? Whirlybirds are early forms of roof vents. Their low cost makes them vastly accessible to a broad range of customers. There are higher-grade forms of ventilation today. Many simply are too expensive to justify installing, unless you’re financially equipped to do so. Whirlybirds are vastly outpaced by modern solar roof vents, in many manners of comparison. Since they’re wind driven, their performance is also hindered. Regardless of how efficient the different branches of ventilation systems are. One thing holds true throughout – solar whirlybirds have higher airflow capacity. Whirlybirds certainly used to be the go to a ventilation system for many home and business owners. They aren’t quite the same anymore, however. Outpaced by modern solar roof vents, whirlybirds require numerous turbines to match the efficiency of a more modern solar whirlybirds. Solar powered roof vents will do the job. They do cost more but they are more efficient. You also won’t need a professional to install them. The solar roof vents installation is rather easy. They might be costly at first, but the saving you’ll experience will drastically pay off the initial installation fees.